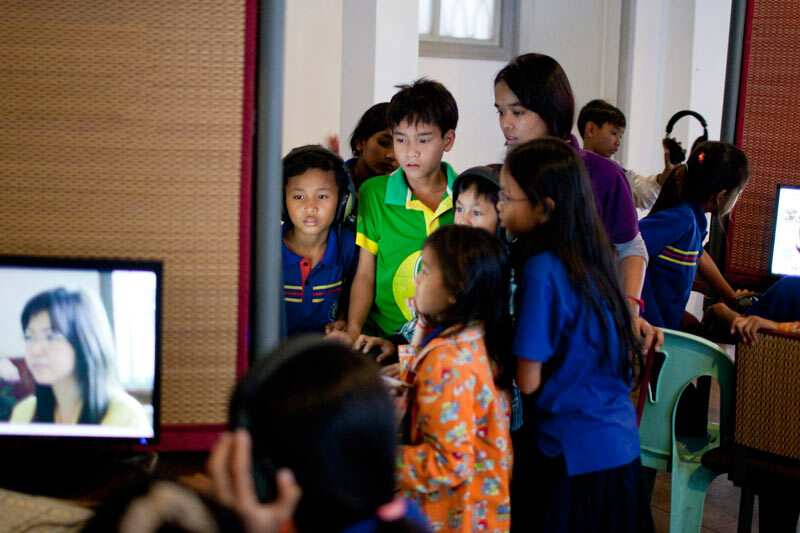 Since its creation, the Bophana Center developed a wide range of services targeting various audiences, including individuals, civil society organizations, enterprises, and institutions. Do not hesitate to contact us; we will be happy to explore with you opportunities for collaboration. Guided tours are available in Khmer, English or French. Archives research can be done either individually on one of our 14 computers used for that purpose only, or in small groups on our flat screen or in the screening room (up to 40 people). Free activities can also be organized for associations or schools. Screening or an educational workshop can be organized upon request. 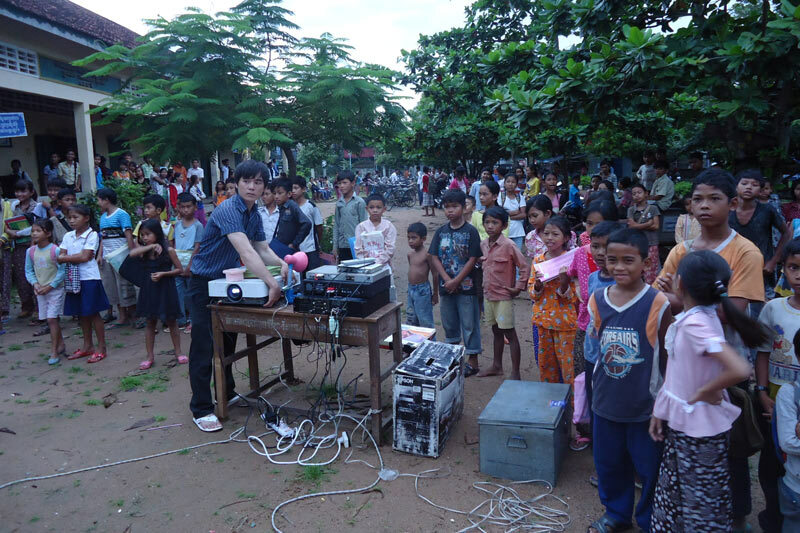 We can set up outdoor film screenings in Phnom Penh or throughout the country. We provide equipment and technical assistance. On request, we can also advise you on the programming of the evening. 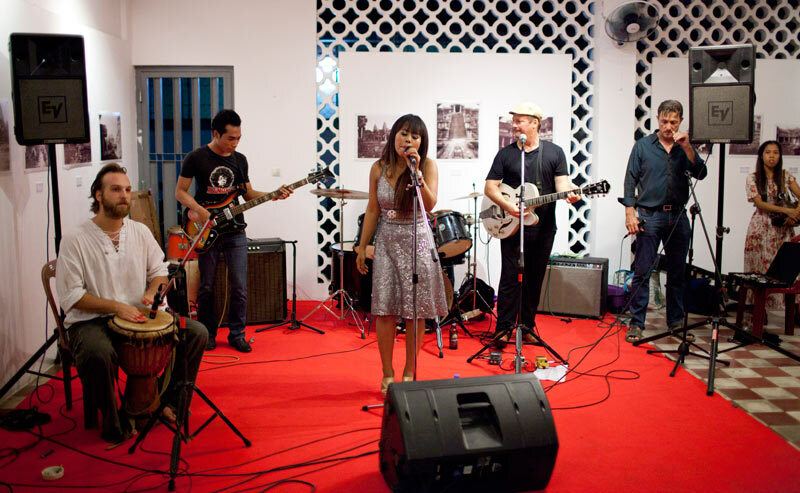 Our exhibition venue on the ground floor of the center can be booked for your events. Floor area measures 80 square meters, and welcomes up to 150 guests. 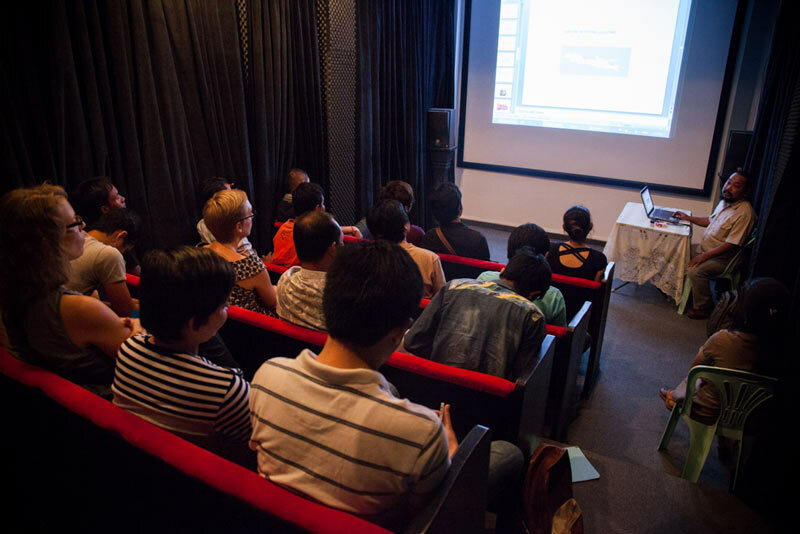 Our multi-purpose screening room enjoys the best quality of picture and sound and can welcome 30 to 35 guests for conferences, workshops, training sessions, and private screenings. Enjoy the room’s comfort and don’t hesitate to request additional services such as catering. We will be happy to advise you in order to make your event a success. 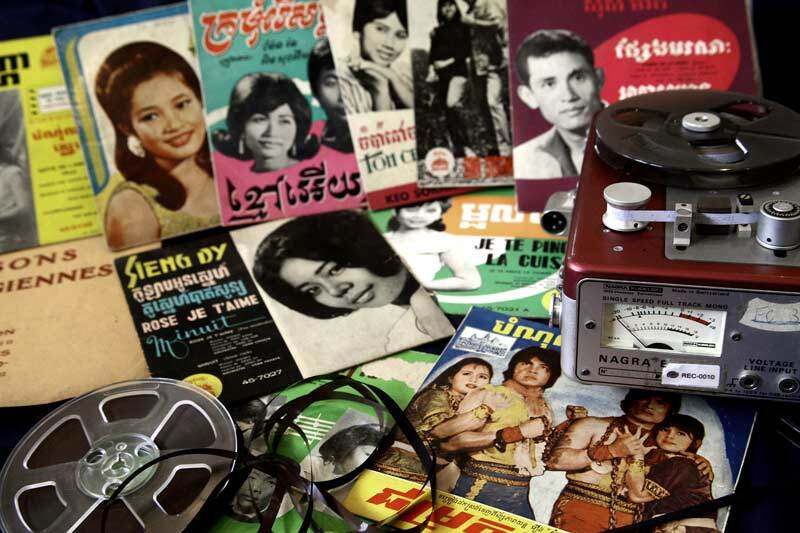 Our archivists can do on demand personalized research on Cambodia’s film and audiovisual heritage. In particular, they can prepare bibliographies on specific topics. 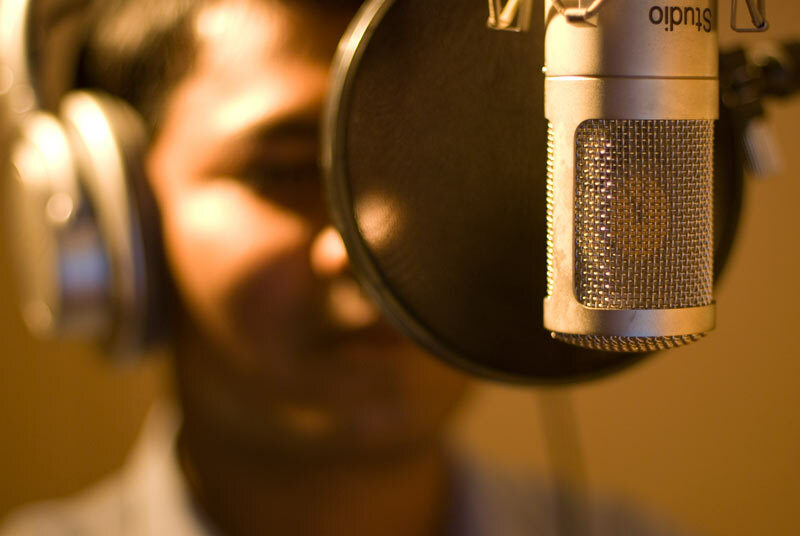 The Bophana Center Archives can also provide material for pre-editing or audio and video clips upon agreement with the rights holders. If necessary, we can pass your requests to the rights holders and negotiate for you a special rate. Don’t hesitate to ask us to produce your corporate movies, commercial videos, short films, documentaries as well as fictions. - Digitalization of various formats (VHS, Beta, Umatic, Vynil, etc.). We offer multimedia services based on our new media and web documentaries expertise. 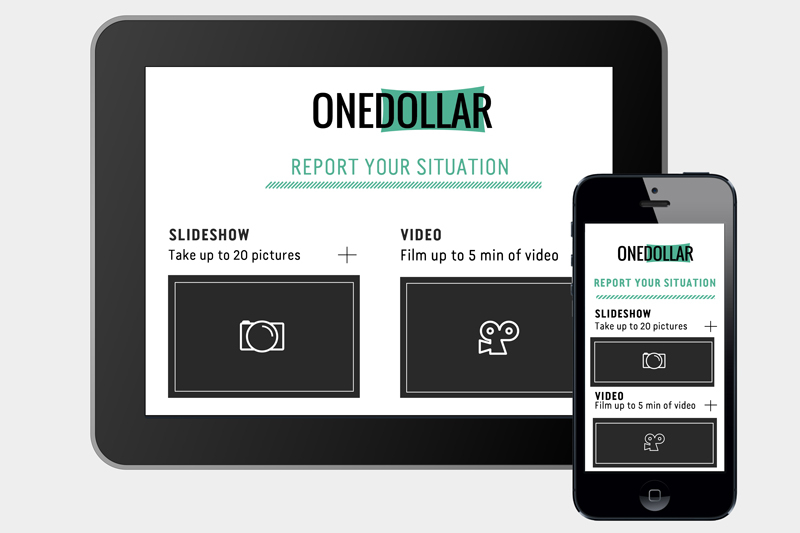 We can help NGOs and any other organizations enhance their image through innovative techniques (e.g., web documentaries production or mobile app development for smartphones or tablets).